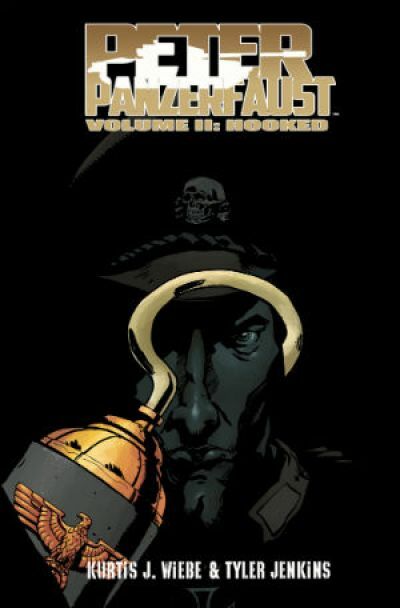 Los Angeles, CA â€“ April 16, 2013 - A heartfelt story of friendship and heart-pounding adventure, the Image Comics/Shadowline comic book series, PETER PANZERFAUST, has captured readers’ imaginations. With multiple sell-outs of issues, fans are eagerly anticipating the next stage for the World War II escapade inspired by the classic J.M. Barrie creation Peter Pan. Now the fantastic independent series by writer Kurtis J. Wiebe and artist Tyler Jenkins is set to engross an even larger audience, with Adjacent Productions’ and Quality Transmedia’s fully animated motion comic adaptation, featuring the voice talents of Elijah Wood, Summer Glau, Ron Perlman, and Dante Basco. The motion comic isn’t all PETER PANZERFAUST fans have to look forward to. Adjacent Productions and Quality Transmedia have announced that a live-action series based on the comic is also in development, and in May, Image Comics/Shadowline will release the second trade paperback volume of the series. 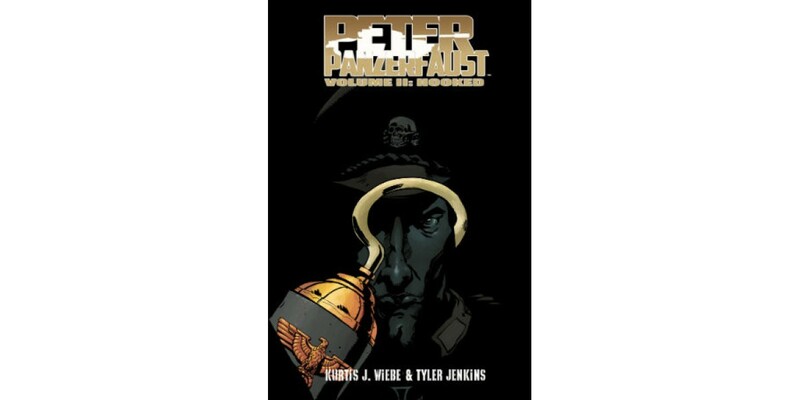 PETER PANZERFAUST: HOOKED (ISBN 978-1607067283) collects issues #6â€“10 of the series and features the introduction of Kapitan Haken, as well as the continued adventures of Peter, the Lost Boys, Wendy, and Tiger Lily in their fight against the Nazis as part of the French Resistance. It will be in stores on May 15 and is available to pre-order now. Peter’s adventures will continue in PETER PANZERFAUST #11 in July. The project is executive produced by Adjacent Productions’ Senior Vice President of Scripted, Julie Gardner (Da Vinci’s Demons, Doctor Who, Torchwood), Dan Tischler (Gigi: Almost American; Torchwood: Web of Lies) and Quality Transmedia’s Jeff Krelitz. Adjacent Productions is a label that sits within BBC Worldwide Productions, one of five core businesses under BBC Worldwide America, the U.S. division of BBC Worldwide, the main commercial arm and wholly-owned subsidiary of the British Broadcasting Corporation (BBC). The Adjacent Productions label serves to identify new programming created by the Los Angeles-based production company, while BBC Worldwide Productions identifies BBC reformats that the team develops and produces for the U.S. market. The first scripted series under the Adjacent Productions label is Da Vinci’s Demons (Starz), set to premiere spring 2013. The second season of Breaking Pointe (The CW) will be one of the first unscripted series to broadcast under Adjacent Productions. Quality Transmedia is multiplatform entertainment venture with projects in the film, television, and digital spaces. Founded in 2012 by Double Barrel Motion Labs CEO, Jeff Krelitz, QT focuses on branded entertainment it can incubate in the digital space and shift to broadcast and film. Since its founding in 2012, QT is creating online series for networks like IGN with their comedy show, â“Red Rocket.â€ QT is currently developing animated adaptations of Fall Out Boy’s rock opera, â“Fall Out Toyworksâ€ and Dean Koontz’s â“Nevermore and a motion picture adaptation of Image Comics’ new comic book series â“Hoax Hunters.â€ As well, Krelitz is Co-Executive Producing a â“Game of Thrones set in Ozâ€ series with Warner Horizon entitled, â“Red Brick Road.â€ Previous productions include work on other prominent properties including â“Spartacusâ€ with Starz, â“Tron: Legacyâ€ with Disney, and a â“Doctor Whoâ€ motion comic for BBC America.